On teams up with mcm creative group - On Event Production Co.
We were delighted to recently partner up with award winning creative agency, mcm creative group on two high-profile events for their clients Thompson Reuters and John Lewis. The Thomson Reuters London Risk and Compliance Summit explored the technologies and partnerships that are enabling financial institutions to be ‘risk confident’ and fight financial crime. The event considered how artificial intelligence (AI) and ‘superintelligence’ are revolutionising the daily and professional lives of consumers around the world and the risks that this presents. With mcm’s creative brief, we helped to create a number of interactive exhibitions and displays aimed at engaging delegates in the debate and making them feel more confident in dealing with rapidly evolving regulations and embracing new technologies. We also provided overall production management for the event, including lighting, content and control of a custom-built 14m x 3.5m LED wall that was used as the centrepiece of the event conference, which hosted interactive debates, keynote speeches, interviews and panel discussions alongside the in plenary and breakout sessions. The event took place at the prestigious Brewery, in London, which dates back to 1750 and was operated by brewing company Whitbread until 1976, when it was converted into one of the capital’s leading hospitality venues. 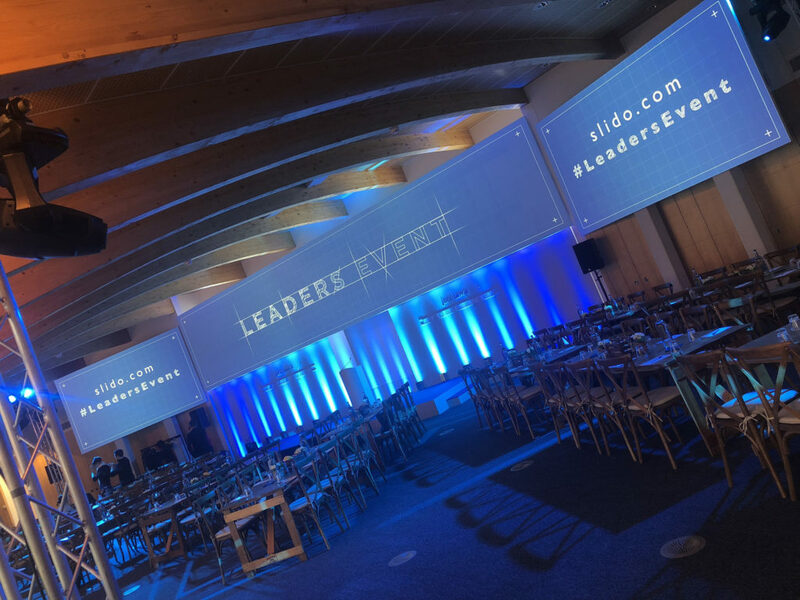 The following week, we also supported mcm with the delivery of an awards event and conference for John Lewis at their in-house conference facility in Berkshire. We were tasked with supporting the retailer’s annual ‘Roof Raiser’ staff awards evening, aimed at motivating and mobilising innovation and exceptional effort from its employees. The next day, the company hosted a Leaders’ Summit for its key managers and directors from across the UK. The event was aimed at giving its leadership team an insight into how the John Lewis Partnership puts the happiness of its staff at the centre of its business. We provided full video, set and staging for both events, including bespoke staging, graphics, fascias and content. Lighting and AV was provided by mcm’s in-house team. Jake Moore, our Production Manager, said: “It was great to work with both mcm and John Lewis on these events. “We do conferences and awards evenings all the time, so it is bread and butter work for us, but the challenge here was to create two separate events, each with its own distinct look and feel, within 24 hours of each other. mcm pulled it off brilliantly and it was great to be part of the delivery team.